Usually gray, with four black stripes on their backs; less than 1/4″ in size. To minimize problems with flies, eliminate their breeding sites by throwing away trash in plastic bags. Let trash cans dry out, and keep them as far from your home as possible. Regularly pick up pet waste. 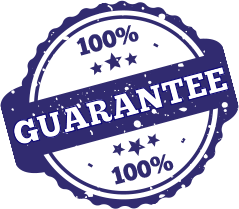 For commercial establishments, professional cleaning of dumpsters and nearby areas may be necessary. 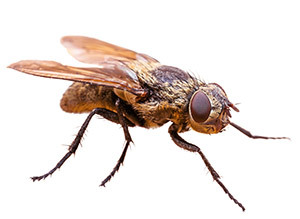 Equip all doors and windows with tight-fitting screens, and apply weather-stripping to the edges of all doors and windows; flies can squeeze through amazingly small cracks.